Since the start of the global economic recession in 2008, Romanian unemployment has more than doubled. One of the largest problems facing public assistance programs as well as job seekers is the difficulty in verifying and proving employment credentials within a profession. The National Employment Agency and the Soft Business Union wanted to improve the quality and transparency of assistance offered by the Public Employment Services to job seekers. Their goal was to develop a modern tool, the “European Professional Card”, that would shorten the path and time that it took job seekers to access programs provided by the Public Employment Services. The card allows job seekers to prove that they belong to a certain professional group and possess specific qualifications and skills while ensuring that all data is safely stored according to EU and national regulations. Magicard’s flexibility in providing a Romanian language interface and easy integration with the host software, ensured the success of this large-scale issuance project. The solution was provided by Printcard Systems and IT Systems International. Within this partnership, IT Systems International supplied the information system; while Printcard Systems supplied 200 Magicard Enduro+ printers with magnetic encoding, 1,200 card readers and all related supplies. Printcard Systems produced more than 583,000 secured cards. Since the system was implemented at a national level and impacted a large population, it was very important that the cards and data were securely stored and that clerks had convenient options for verifying the authenticity of the newly issued cards. Magicard printers proved to be the ideal choice thanks to the integrated HoloKote™ watermark. Romanian language within the printer interface and drivers allowed IT Systems to develop software specially adapted to the project needs. The card has greatly reduced the number of documents and forms which need to be completed prior to employment. This has allowed Romanian companies to hire new workers much faster as the software allows for the assessment of matching candidates based on the information collected during card issuance. This data-driven approach supported by a verifiable physical credential helps guarantee gender equality and equal opportunity for job seekers while speeding time to employment. 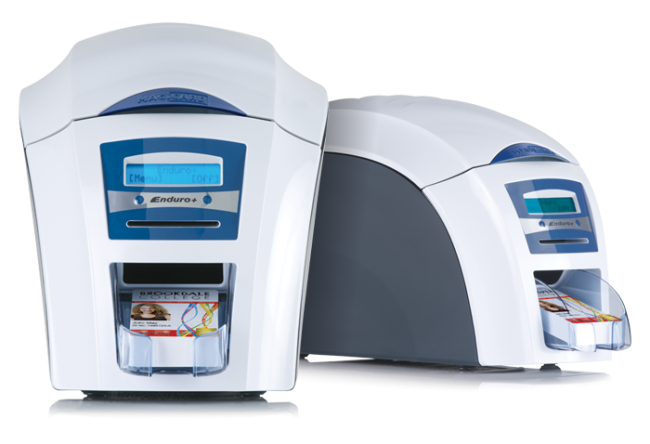 Magicard printers are trusted by hundreds of government agencies as well as thousands of companies globally to issue millions of secure identification badges every year.